1. Fruits and vegetables - Keep fruits and vegetables separately in the section given for them. Make sure apples are kept with apples, pears with pears and so on. Do not mix up all the fruits as they may get spoilt easily in that case. 2. Leftovers – Remember that leftovers cannot remain in good shape for long, so it’s never a good idea to keep them stored for long. Keep them in the fridge for a day or two depending upon the nature of the food. Store the leftover food in airtight containers and make sure you use them up soon. 3. Meat and poultry - Though non-vegetarian stuff such as fish, chicken and others can be easily stowed in the freezer, you need to make sure that they are not mixed with other products. Often ice-creams and milk shakes are also stored in the freezer. Your ice-creams may end up getting spoilt if they come into contact with the non-vegetarian stuff. That’s why there are refrigerators which have a separate section altogether for meat and poultry. 4. Dairy products - Store all the dairy products such as milk, cream and cheese in their respective containers. But once they are out in a bowl or any other vessel, do not put them back into their containers as there are chances of spoilage. Instead simply cover the container with a foil or any other protective material and keep the container compact and clean. 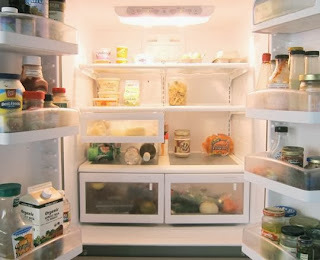 Keep these simple tips in mind before you refrigerate your food at home. Know more about our services here. There are different kinds of games that can be played during fall. However, if you have kids who throw away sports equipment in and around the house, it can transform your living space into a sports ground. And that is exactly what you do not want. So here we provide you with some tips to store your sports gear during fall. 1. Allot some space for the gear - Keep some space separate for sports stuff. In this way, it doesn’t disturb all the other essentials and décor of the house. 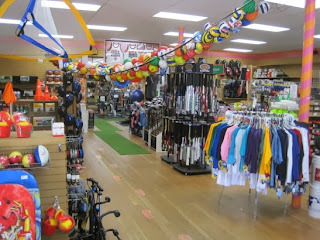 You can use a rack or a box or a partitioned area to fit in all the sports equipment such as balls, bats, caps, knee pads and so on. 2. Buy a storage unit - If you buy a storage unit and allow your kids to throw away their stuff in there, your entire house will remain untouched and free of mess. Do not forget to keep all the things in proper order and tag them. Unless you keep the storage unit tidy, the look of your house may get spoilt. 3. Keep them in a drying rack - Often sports gear can get completely spoilt if you place it in a humid place. So make sure you put all the things in a drying rack so that they are clean and dry. The equipment will then be ideal for further use. 4. Keep them in a roofed balcony - You can simply store your equipment in a roofed balcony so that it functions like a separate section altogether for your gear. All in all, you need to remember that you have to keep the sports gear away from moisture by all means. Once a lot of moisture accumulates in your equipment, the sports gear can get destroyed completely. Till then, enjoy the fall!